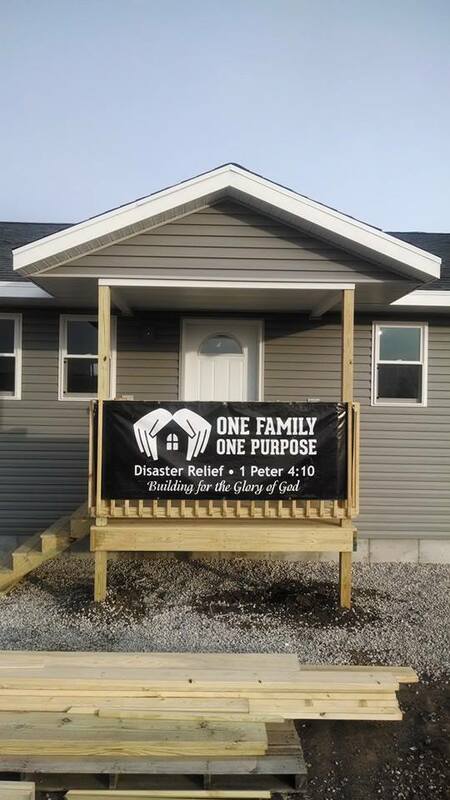 The disaster relief ministry of One Family One Purpose continues to impress me. They are one Christian organization that is intent on passing forward the helpling grace of Jesus Christ. With all due respect, Benjamin Franklin got it wrong. 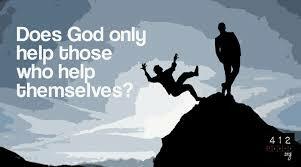 He was the one who coined the phrase, “God helps those who help themselves.” Have you ever had someone say that to you? I have. Have you ever met someone who was confused as to whether that was a quote from the Bible? Ditto on that one too. Did you ever feel a tad off kilter when you heard it quoted, wondering If God worked that way? The problem with this quote is this: what about the people who cannot help themselves? Are they out of luck, adrift from God’s blessings? That doesn’t seem consistent with Christianity’s concept of unmerited grace. I’ve heard preachers describe the phrase “poor in spirit” as “spiritually bankrupt.” One of my favorite hymns describes it as “the end of our hoarded resources.” To those willing to admit they no longer can help themselves, God promises the Kingdom of God. That’s a big return for someone who willingly admits they are helpless to get themselves out of their own muck and mire. In the New Testament era, widows and orphans were destitute. No Social Security. No Medicare. No food stamps or welfare. If you didn’t have a loving family to care for your needs, you were as sunk as the Titanic. That sounds helpless to me. What does this have to do with a disaster relief ministry? This past week, I worked with other ladies to provide meals for the team of men building a new home for a single mom and her twenty-something year old son who is severely afflicted with cerebral palsy. Their trailer was destroyed in a tornado that swept through their small town of Cameron, Illinois. One hundred miles north, another team was building a home for an older couple in Fairdale, Illinois. The couple are still recovering from injuries received when their home was destroyed by another tornado and suffer from other health issues. The husband is in a wheelchair. Last year, a group sponsored by One Family, One Purpose built a home for a couple who are both mentally challenged. They had been living in a tent for eight months after their house was destroyed by fire. Could these people contribute money or labor in the house rebuild? Did they show gratitude for the hours of volunteer labor and thousands of dollars? Could they have done anything to prevent their circumstances? What did God ask One Family One Purpose to do? Show the mercy of Christ to those who might not deserve it and who couldn’t do a thing to pay back. That’s the essence of what Jesus did for us when He gave his life for us. We didn’t deserve his sacrifice and we can’t pay Him back. We truly are helpless. When we admit that, God throws open the storehouses of heaven through all kinds of creative measures including the compassion and generosity of His Kingdom workers. Our responsibility then becomes to love as we have been loved. We help because we have been helped in our own time of need. 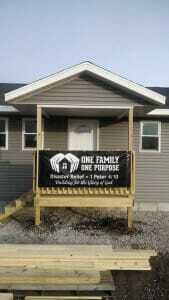 For more information about the amazing work of One Family, One Purpose, check here. “God helps those who help themselves.” Is it true? Is it biblical? The average American can’t relate to the pomp and grandeur given to a head of state. Sure, we have limited access to our President. Our head of state is surrounded by the Secret Service, akin to King David or Caesar Augustus’ palace guard. The White House is shut up tighter than a medieval fortress. Friends of mine, signing up for a Washington D.C. bus tour which includes a tour of the White House, were told they needed to have background checks six months before stepping foot on the property. As difficult as it is in our own country, imagine the visual barrier of a throne room, guards barring the entryway with drawn swords, the gold, purple and blue opulance surrounding a far away figure on a high and lifted up throne. You look down at your own clothing and suddenly feel dirty, unkempt and unworthy. Dare you even lift a foot to stain the plush carpet leading to the eminent figure on the throne? Who does get easy access to a king or president? Queen Esther risked her life to see her own husband, King Xerxes. When Joseph’s brothers were face down getting a mouthful of mosaic, Joseph, ready to reveal his identity, told them to come close to him (Genesis 45:4). I can imagine the brothers looking at each other. What kind of joke is this? Are you kidding? Only closest friends and family can get within arm’s distance of a king. This is the lord of Egypt, second only to Pharaoh himself. Oh wait a minute. He said he was our brother. Approach God’s throne? Are you kidding? 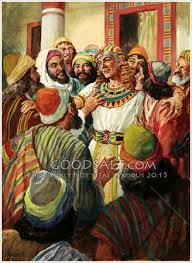 The Israelites at Mt Sanai shook in their sandals at the mere mention of God’s presence (Exodus 20:18,19). The scene in Revelation 4 sounds so magnificent and overwhelming, I’m not sure I would want to move in too close. Besides, there was this sea of glass before the throne (Rev 4:6). That sounds pretty inaccessible to me. If I did move closer, my heart would be pounding louder than a jackhammer. Who possibly would be allowed to move in to close to the King of Glory, the King over all Kings? Who gets access to a king, a president, God Almighty? Family. It’s not what I’ve done that deserves a trip to the throne room. It’s because of who I belong to. I used to have this idea that Jesus, out of obligation, would grudgingly allow me into heaven because that was the deal and the Divine keeps His promises. “But go sit in that corner while the rest of us celebrate eternity forever,” I would be told. I was inferior, not good enough, to join the multitudes of the pure ones. What a liberating day it was when I realized I belonged in the front row with everyone else. Not because I deserved it. No one else deserved it either. I would be there because Jesus was my brother. If that is true on the other side of the grave, it’s true now. 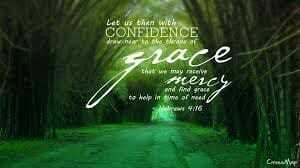 I can have confidence to approach God’s throne of grace because Jesus is my righteousness. I don’t have to be afraid of God, afraid of His wrath, afraid that He’ll tell me “no” in that menacing voice that says, “I can’t believe you asked for such a silly thing.” He is full of compassion, love, and grace. He wants to meet my needs in His best way. Because He loves me. Because Jesus is my brother. Because I belong to Him. Through my faith in Christ, I’m part of the family. What about you? How close are you willing to get to the throne of God? What big job does God have waiting for you? For years, Mary and Don lived ordinary lives. Don, a retired Sears employee, spent his retirement mowing his vast lawn and doing upkeep on his boat tethered along Atwood Lake. Mary entertained guests throughout each summer at the only private outdoor pool in Northeast Ohio that I knew of and regaled visitors with stories of her latest purchases from the local Goodwill store. One particularly cool September, when Mary was 85, she discovered another visitor on their property. 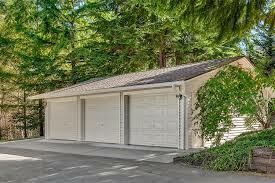 A homeless man had sought shelter in Mary and Don’s expansive garage. Recently Mary had taken the challenge to read the New Testament in one month. As she heard Michael’s story, other stories of Jesus’ dealings with the poor filtered through her mind. She ushered Michael to their upstairs apartment they often used for out of town guests including traveling evangelists, altered one of Don’s suits so Michael could come to church with them, tried to help him reconcile with his family, and outfitted him with more clothes from Goodwill as only Mary could do. She stayed the course and continued to love Michael. Soon he accepted Christ and was baptized. Michael had a lot of hurtles yet to overcome but the difference in his behavior and outlook was obvious to anyone who talked with him at church. 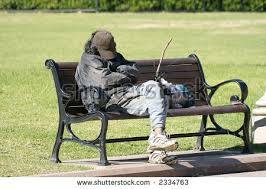 Mary and Don stuck with him and parented him through finding a job and an apartment in the nearby big city. I’m so proud of Mary. So many 85-year-old women could have, would have, said, “I’ve done my share. Let someone else do it.” I admit, I didn’t know a younger Mary, but I have a feeling she did her best work for the Lord when she chose to open her home and heart to a young homeless man. Until that moment came, she stayed faithful to God, doing the ordinary, maintaining her faith and love for God and His people. When God’s call came to use her gifts—particularly her gift of bargain hunting!—Mary was ready. God has some awesome plans for you! So many Scriptures talk about God’s plans for us, the gifts He has given each of us to be used to serve others, the blueprint of good works He made for each of us before the world even began (Eph 2:10, see also Eph 1:4), and how He is bound and determined to let nothing deter His plans until the day of His Son’s return (Phil 1:6). You might think you live an ordinary life. You’re not a Joseph. You aren’t a Moses. You are just an average Joe – or Mary. Think of this. Moses and David were just shepherds. Joseph was a spoiled favored son turned slave. Even Jesus spent the first decade of His adult life as a construction worker. God is not finished with your life yet. He might have an awesome way He wants to use your gifts and passions to create a ripple effect far beyond your time on this earth. 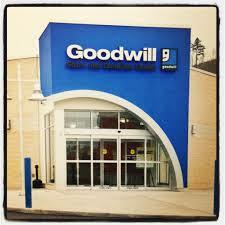 Just like Mary and her love of shopping at Goodwill. 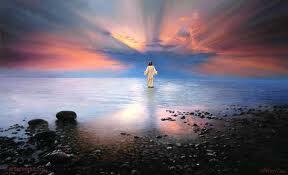 Jesus’ Second Coming: Sooner Rather Than Later? Have you been following the news? If you’re like me, you’ve given up. We’ve cancelled our cable. I don’t receive Breaking News from Fox News anymore and I haven’t done anything to reinstate it. Why bother? It’s all depressing anyway. I hear enough bad news as it is. I’ve got my own hurtles to jump through. I hear heartache all around me. What’s on the news? Massive migration throughout the Near East into Western Europe as people try to flee the genocide happening because of ISIS. Government corruption and twisted values of high court officials. Local newscasts rife with reports of shootings and murders, Scores of personal friends fighting complicated medical issues and being forced to deal with broken medical and insurance industries. 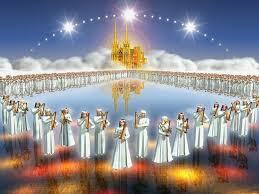 Several people have commented to me that all these bad events must be a sign that Jesus is coming back soon. I agree that the time is getting closer for our Lord to return. But I have a couple of problems with this reaction. First, I’ve been hearing people say this throughout my life. I have a hunch, a dread even, that our world situation could and will get lots worse before our Lord comes again. Jesus himself wondered if the Son of Man would find faith on the earth in the end times. Here’s my second problem with this reaction. I would love, love, love for Jesus to come back right now. That would solve all these problems. 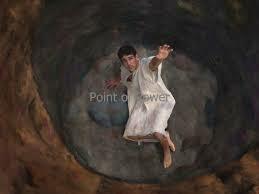 With one rip in the clouds, Jesus would wipe ISIS off the face of the earth, put those corrupt government officials where they need to be, and move aside all the obstacles that liter my path. That’s what we want. That’s what we long for. As much as we—and all creation—groan for release from the hold Satan and his minions have placed upon us, God has a very good reason for His delay. Frankly, I find that holding fast to this reason demands more faith that belief in His ultimate return. Not by the skin of our teeth. Not ragged and barely alive like Frodo and Sam emerging from the fire cliffs of Mount Doom in Lord of the Rings. God has the power and the desire to take our worst moments and turn them into His best. God can make redemptive good out of our messes. He did that with Joseph. He did it for David. His ultimate moment came when Christ’s battered body bounced back into a resurrected body. God can bring about greater good than we ever dreamed or imagined. Yes, He’ll build our character. Yes, suffering will make us stronger. We’ll learn to depend on God more. God has even bigger plans in mind. He use Joseph’s brothers’ betrayal to bring Joseph to the second highest government office in Egypt and used him to save countless hungry people from starvation, including his own family. 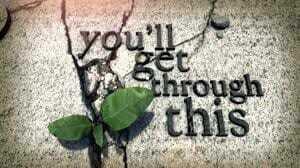 As Max Lucado says in his book, “You’ll Get Through This,” we are the Josephs of our generation. God can and will bring about amazing things through your life, through your tough times. We have to suffer the pain in order to show the gain. God can’t deliver us and show His glory and power to deliver if there is nothing to deliver from. Why did I say it’s easier for me to believe that Jesus will return than to believe He can bring about something amazing like He did with Joseph? I don’t know about you, but sometimes I think it’s hard to believe God would do something astounding with my life. Wanting Jesus to come back is also, excuse me, a cop out. Jesus’ return would end my suffering, would remove my emotional baggage. Sweet! Love it! Bring it on. No. No, he’s not done yet. Think of this. If your current mess would culminate in ten people accepting Christ as Lord and joining you in eternity, would you be willing to give Jesus a little more time in His plans to return? If God had plans for your suffering to be used as a megaphone for His grace and power that would embolden hundreds of Christian to hang on to their faith, would you buy into it? The thing is, we don’t know God’s plans. Neither did Joseph. He just kept being faithful. If we truly believed Jesus was coming back soon, then, oh boy, we’d better get busy. We have a lot of work to do. There’s so many that need to know of His saving grace. After being lifted from a cistern and dumped in a slave wagon, Joseph kept his head. He didn’t succumb to fear or despair. He didn’t harbor hatred or unforgiveness. He quietly trusted that God had a plan. He kept his integrity even though that seemingly set him back. He met each moment with grace and wisdom. May we do as well. For when we do, God will do amazing things through us. Watch for it! And let me know what you see God doing.